Home > Staff > Dustin Pearce, M.E.S.M. Dustin Pearce joined the Conservation Biology Institute in December of 2015. 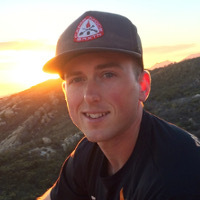 His background in geospatial sciences has focused on the interplay of working agricultural lands, natural lands, and renewable energy development in the San Joaquin Valley of California. Growing up in the San Joaquin Valley, his connection with agricultural and working lands initiated his interest in biology. Watching the seasonal shifts in crops and the wildlife that surrounded the valley all developed his curiosity for the natural world that still drives him today. Finding just as much comfort in plowed fields as the backcountry of the Sierra Nevada, his upbringing has helped him understand the truly complex nature of humans’ interaction with different landscapes. Dustin holds a M.E.S.M. in Economics and Politics of the Environment from the Bren School of Environmental Science & Management, and a B.S. in Conservation Biology from Arizona State University. His work with the Conservation Biology Institute is focused on stakeholder engagement and smart planning for renewable energy development throughout California. Dustin lives and works remotely in Santa Barbara, California. He enjoys getting outside as much as possible, woodworking, metalworking, and exploring paved roads on his motorcycle. American Farmland Trust has partnered with CBI to undertake a spatial analysis to identify agricultural areas that are most at risk due to the challenges of climate change, water supplies, soil impairment and urban development.